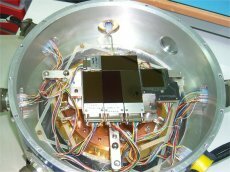 Our optical detectors are continually being upgraded and improved to stay abreast of the latest detector technologies. Peak Quantum Efficiencies of >90% and single photon detection are now easily achievable. 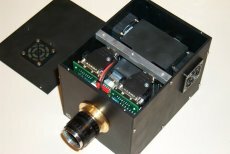 New cameras are designed, built and characterised using in-house facilities. Our detectors offer the best of what is commercially available. 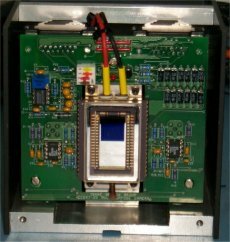 Deep Depletion silicon is used for the red optimised detectors for maximum quantum efficiency. 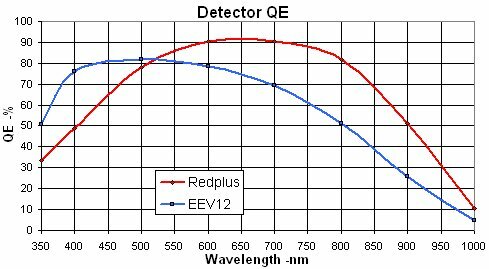 The graph below shows the response of our best blue and red optimised detectors. These are currently in use on ISIS. 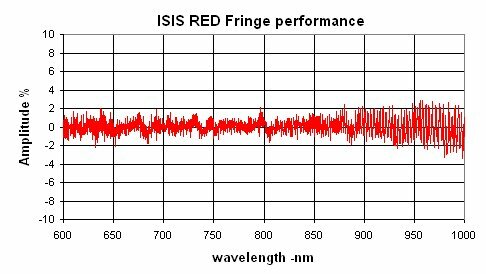 Our new red optimised detector (RED+) uses a combination of Deep Depletion Silicon, carefully chosen anti-reflection coatings and a new fringe suppression fabrication process to reduce fringing in the red part of the spectrum to an almost insignificant level. 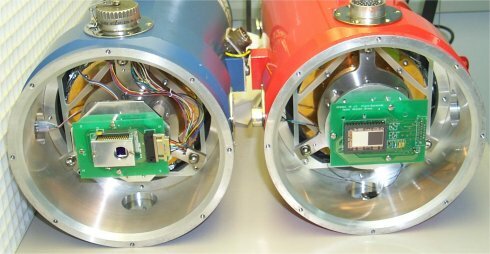 Our L3 cameras are optimised for fast imaging in regimes traditionally limited by detector read noise. 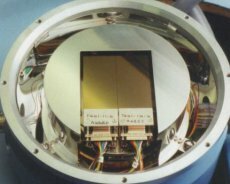 A CCD60 L3 Wavefront sensor is used on NAOMI/GLAS for sub-electron read noise performance. 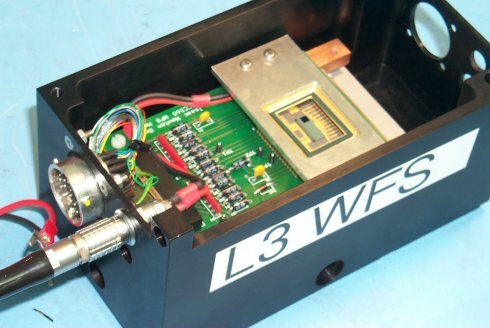 A second 1K square L3 CCD is under evaluation on ISIS. This chip has carefully optimised to yield exceptionally low noise performance (0.05e read noise, <0.05 e CIC). Single photon events are clearly visible in the images. This is demonstrated in the example below. The image on the right is the sum of 50 very faint exposures of a monochromatically illuminated pinhole. It shows the classic Airy ring pattern. 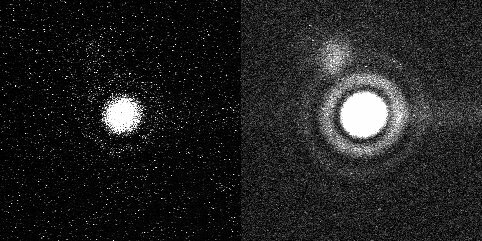 On the left is shown a single frame where each bright spot in the image corresponds to a single photo-electron. A selection of camera hardware designed and built by ING personnel is shown below.